One of the most amazing (yet lesser-known) ways of exploring Thailand is by train. Thailand Railways run through all major parts of the country, connecting the main capital Bangkok to the Northern parts (line ends in Chiang Mai), Northeastern parts (two lines, ending in Nong Khai near the Laos border and Ubon Ratchathani), Eastern parts (two lines. ending in Aranyaprathet on the Cambodian border and Pattaya) and Southern parts (line end in Hat Yai near to the Malaysian border). So really, you can have your picks here. But where to go? Whether you are a nature lover, an archaeology enthusiast or countryside folk, here’s a journey that will fulfil it all! 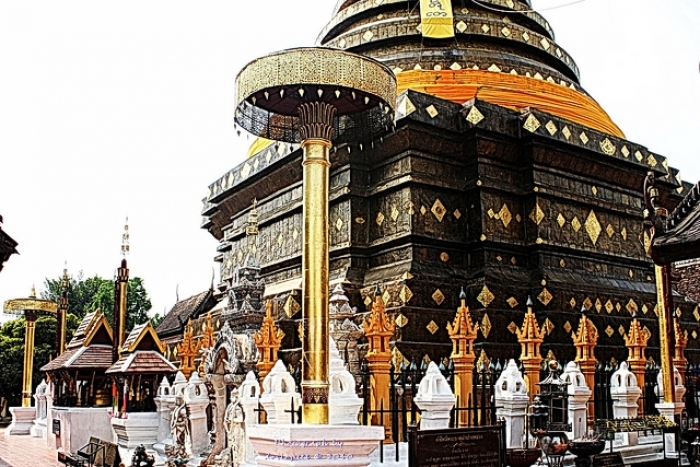 The train journey from Chiang Mai to Bangkok is no doubt a well-trodden one, filled with plenty of ancient treasures. 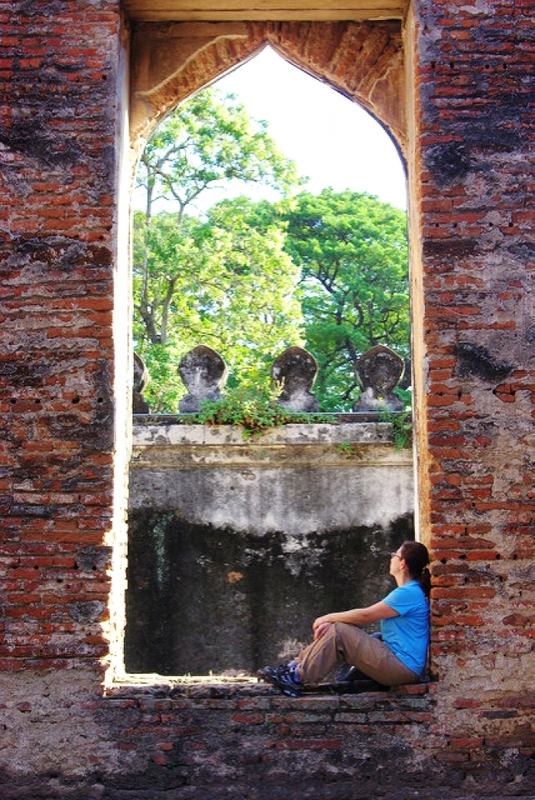 If you enjoy taking a stroll through historical temples and ruins, this journey will make the Indiana Jones in you scream with joy! The train journey will take you past Ayutthaya, Lopburi, Phitsanulok and Lampang before you reach Chiang Mai. If Chiang Mai is the only place you wish to visit, you have the option to just ride the train until its final stop. The views from the train journey are amazing. However, if you want to make the most of the journey, you can spend a day or two exploring other places along the way! 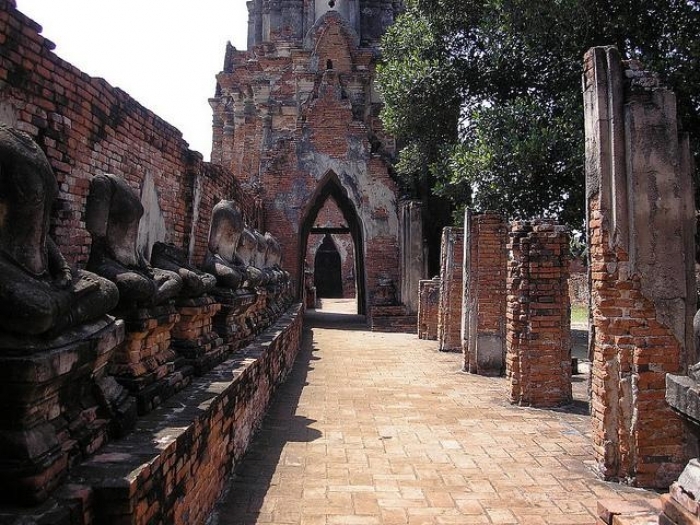 Ayutthaya, or the ancient city of Thailand, is surely a sight to behold. From Bangkok to Ayutthaya, the train journey takes 1 hour 30 mins. 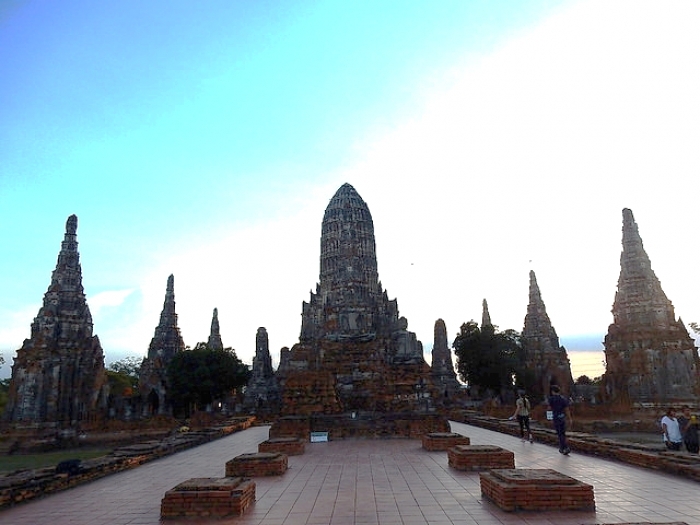 If you catch a morning train, you can spend the day in Ayutthaya and continue with a night train to Lopburi. 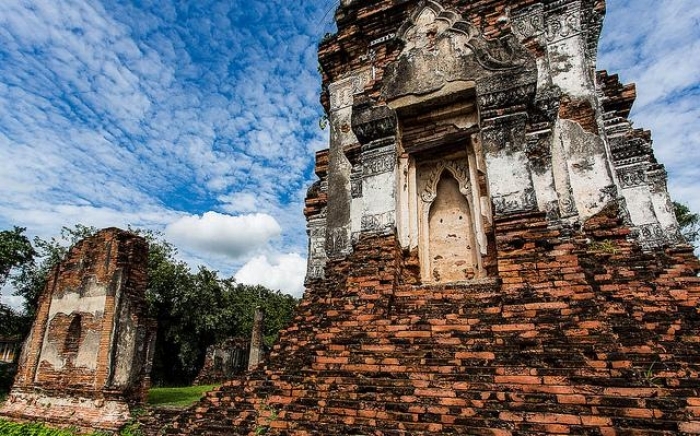 While in Ayutthaya, it’s essential that you take a trip down the historical lane and visit Ayutthaya Historical Park as it is only about 4km away from Ayutthaya train station. 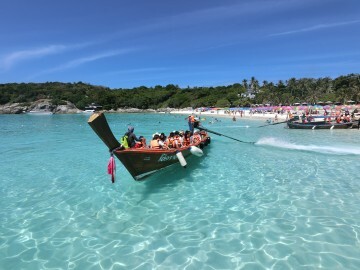 You can get there by a short ferry ride across the river or by taking the tuk-tuks which often readily wait at the train station for passengers. 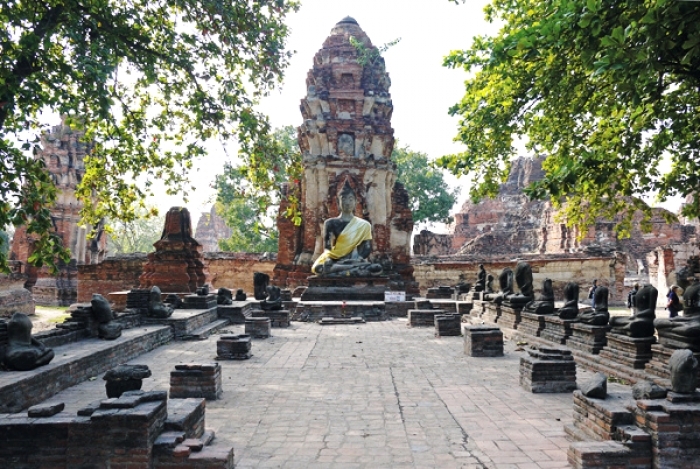 Ayutthaya Historical Park is listed as UNESCO World Heritage Site and comprises several wats and temples full of history. It surely is a sight to behold, and makes a great backdrop for photos too! Since the park is quite huge, it may be a bit tiring to explore on foot. Luckily, you can find several bicycle rental shops across the river and near the park which gives you the option to ride around instead. What a great day for a cycling exercise in the city of ruins! To fully appreciate and enjoy this trip, it is advisable that you prep yourself about its histories (or just get Google ready on your phone). It is, of course, impossible to visit all in one day, so here are the four temples that you must see. Note: There will be entrance fee charges at each temple. So be sure to bring some cash with you! If you’re travelling between November to January, this will surely be a highlight of the trip – provided that you’re not allergic to pollen. The train only takes 45 minutes to reach Lopburi from Ayutthaya, or 2 hours 40 minutes from Bangkok. 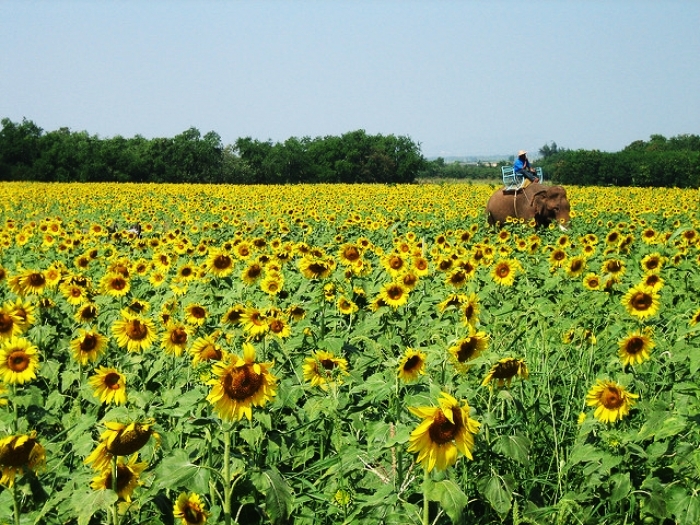 Sunflower fields are popular in Lopburi and Saraburi. Both of these provinces are located just next to each other and they boast equally beautiful acres and acres of sunflowers. To reach these sunflower fields, it is a little bit of a challenge. There are local buses at Lopburi train station that can take you directly to the site at a lower price; however, in most cases, the local bus drivers can’t speak or understand English very well. 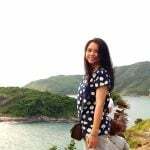 The keyword is to say “Khao Jeen Lae/Chin Lae” and bring a picture of sunflowers field with you to show them. It may sound ridiculous to do that but you’ll be glad that you did! Another option is to get a taxi which will cost more but the ride will be comfortable. 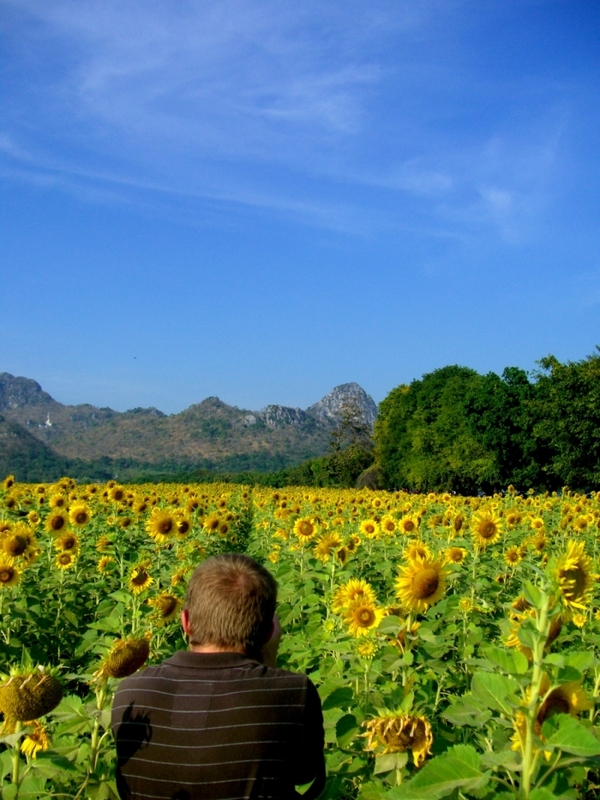 The journey from the train station to Lopburi Sunflower Field takes about 30 minutes. Other than sunflowers as far as the eye can see, you can also find stalls selling sunflower seeds and coconut drinks, souvenirs and a petting area for farm animals. You can ride a mini train around the field to take as many scenic pictures as you wish. There are also horses and ponies strolling around the field. Here’s something you would not expect: a temple overrun by monkeys! 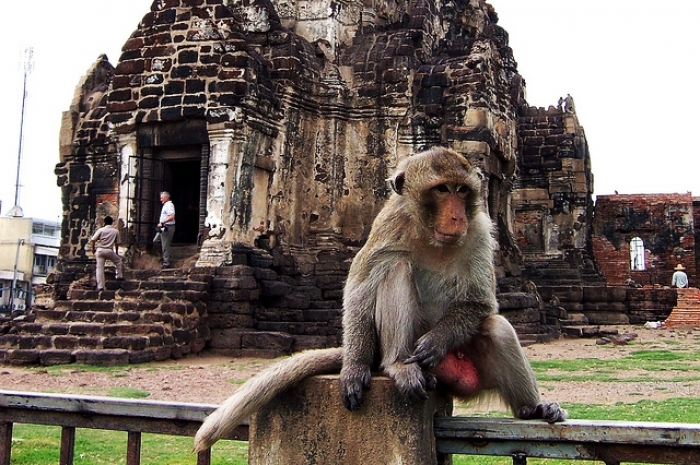 If you do not mind some monkey business, why not take a visit to meet the critters that rule Lopburi Monkey Temple? 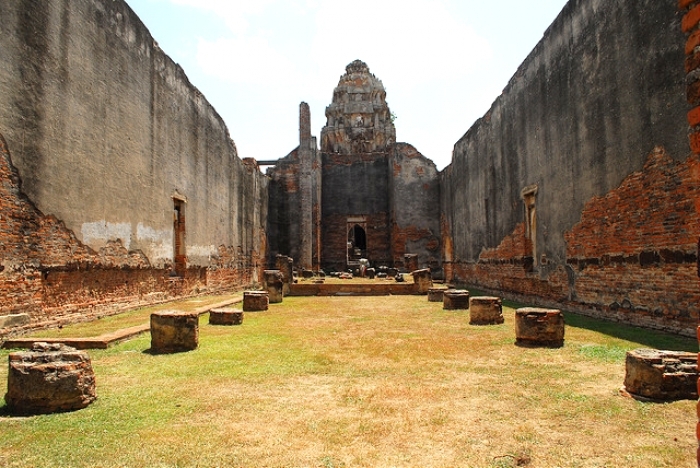 The Monkey Temple, or formally known as Pra Prang Sam Yot Temple, is located only a walking distance away from the Lopburi Train Station. Most of the monkeys won’t pay you much interest, but some will steal from you if you let them! So be sure not to carry any food with you and hold on tight to your wallets. However, it is not just the temple. In fact, the whole Lopburi old town are playgrounds for these long-tail macaques! You can see the whole families here, from mommas to the little babies. These critters just seem to be hanging around, clinging to lamp posts and occasionally picking fight with each other. 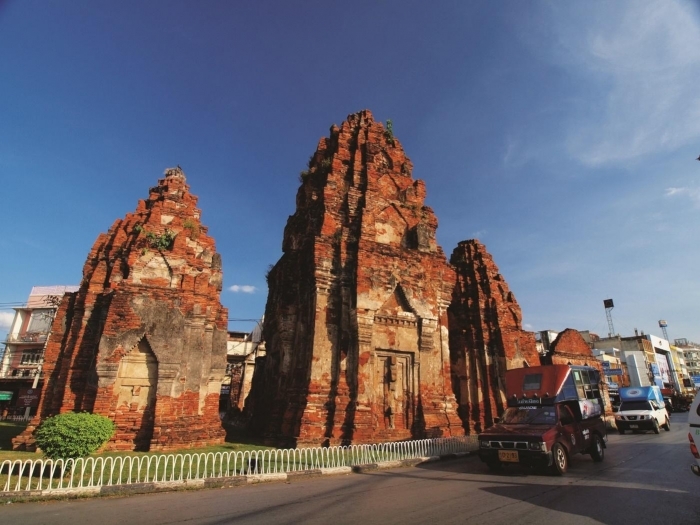 There are also several old but gold temple ruins to visit within walking distance from the train station and the Monkey Temple. 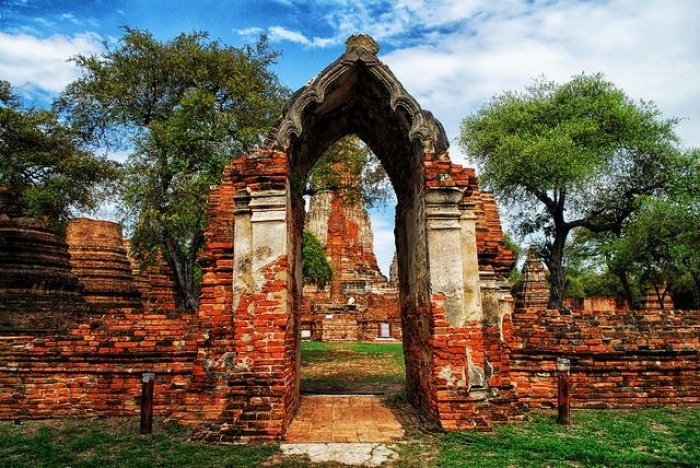 If Ayutthaya is known for its ancient ruins, Lampang is known for its artistic and beautiful temples. 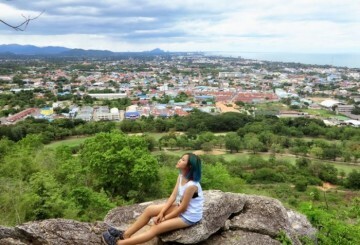 Lampang is often overlooked as an ordinary town to pass by. While the town does not boast cityscapes and huge markets, it is enjoyable for those who crave the taste of local colours and artistries. 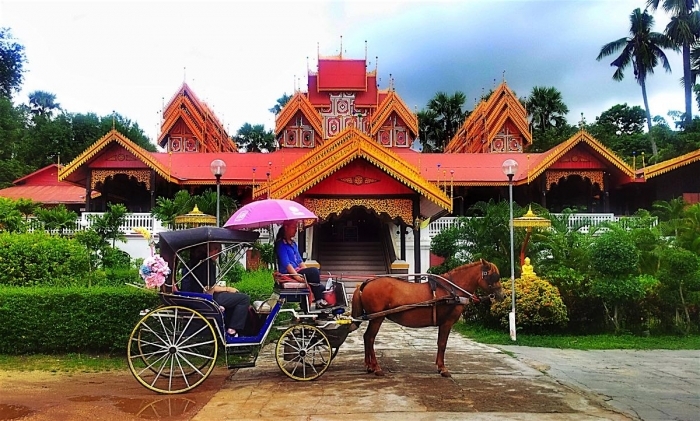 When in Lampang, it is a must to ride a horse-drawn carriage around the old town. These can be found waiting for riders at the central market in the city, about 2km from the train station. What makes the ride even more exciting is that you can actually do temple-hopping around town! 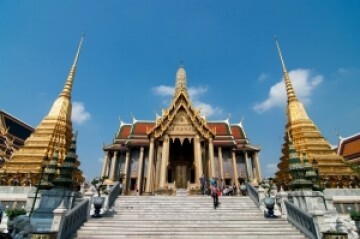 Here are some of the temples that will make you feel like royalties arriving at the palace in a magical horse carriage. 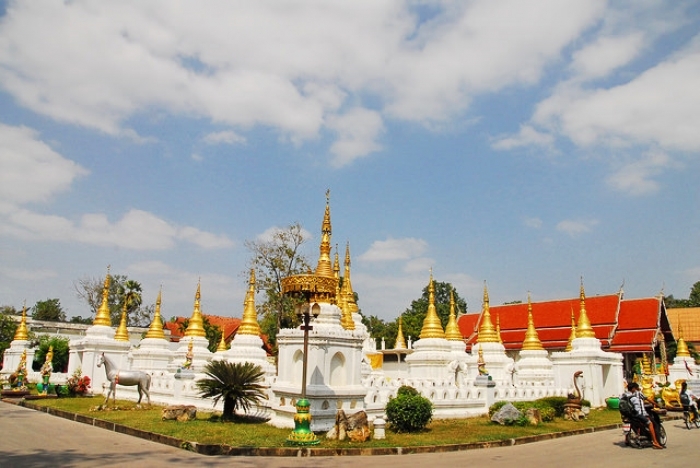 If you do decide to visit Lampang, make sure to do it on the weekends. This is when the street markets come to life! 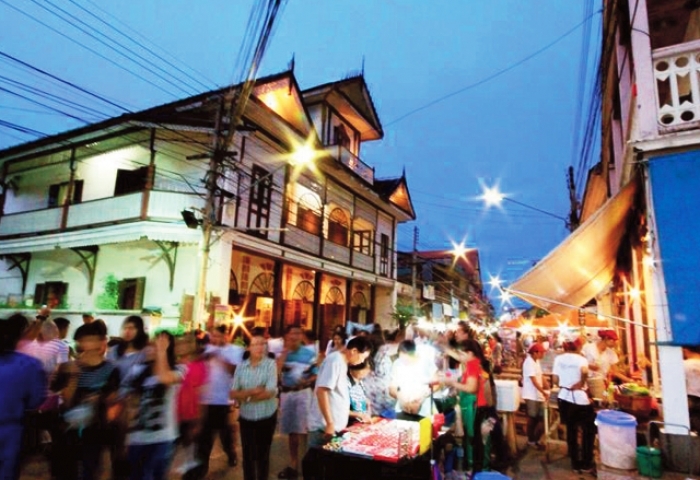 Every Saturday and Sunday from 6-10 pm, the street of Talad Kao Road in the old town will transform into a busy walking street filled with all kinds of wonders. The night lightings and the classic wooden house architecture along the two sides of the walking street give the market a special touch. Here you can walk, shop and eat. There will be plenty of local food and desserts to taste, souvenirs and handmade novelties to shop. 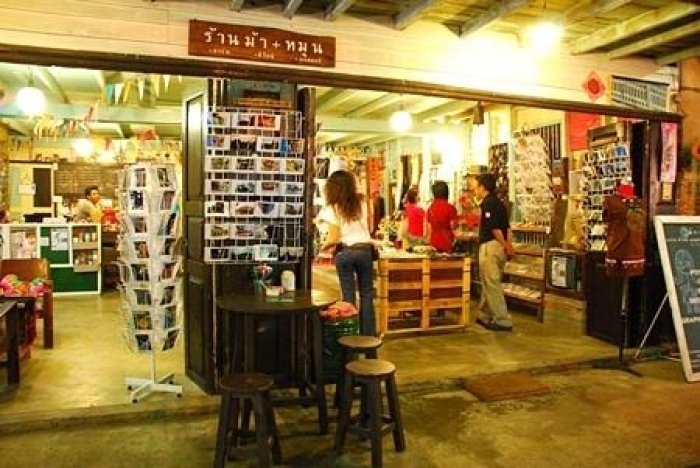 You will also find coffee shops, guesthouses and art galleries. It is definitely the best way to spend the evening! Ladies and gentlemen, we have reached our final stop! 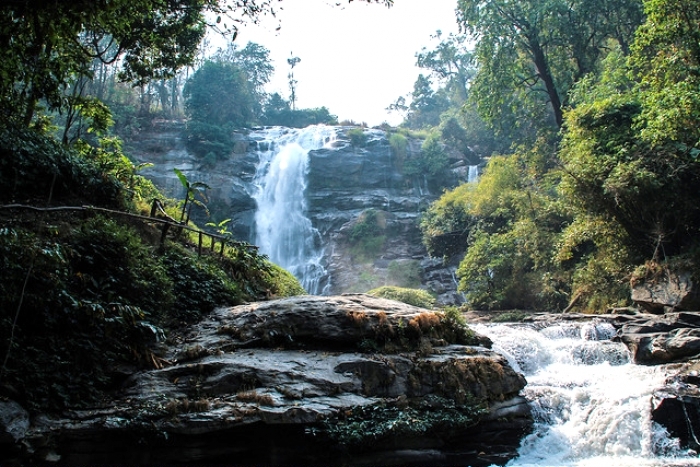 Chiang Mai, a land filled with intriguing culture and stunning nature – definitely worth a few days of exploration. 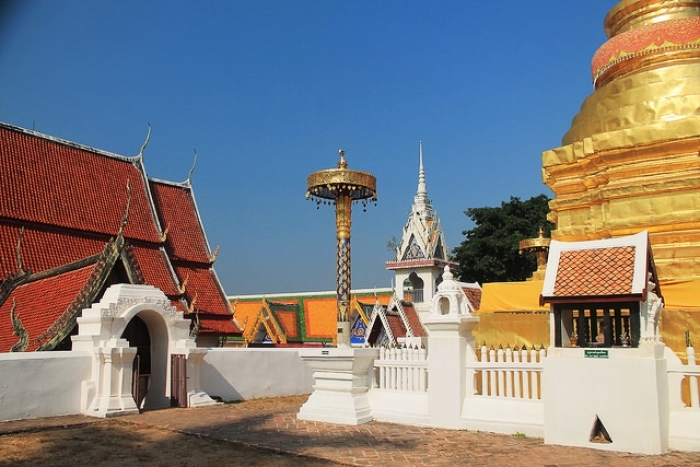 The best times to travel in Chiang Mai is from November to January when the weather is at its best. During these months, it is “winter” in Chiang Mai, so the nights are cool and the days are just right. If you visit in November, you will be able to experience the Lanterns Festival known as “Loy Krathong”. 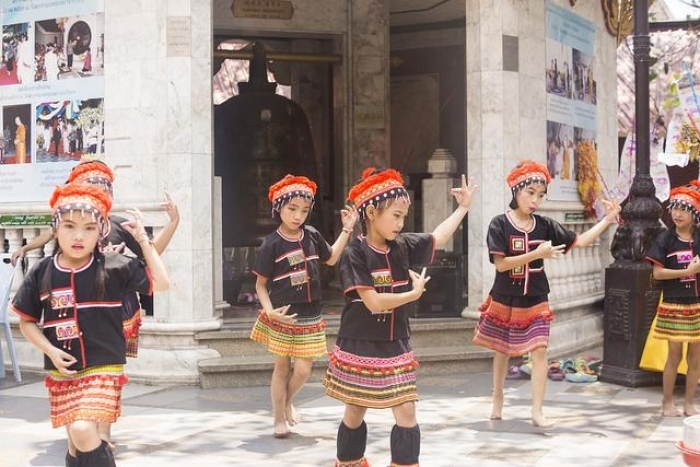 This is one of the most wondrous festival in Chiang Mai where both locals and foreigners gather to celebrate. 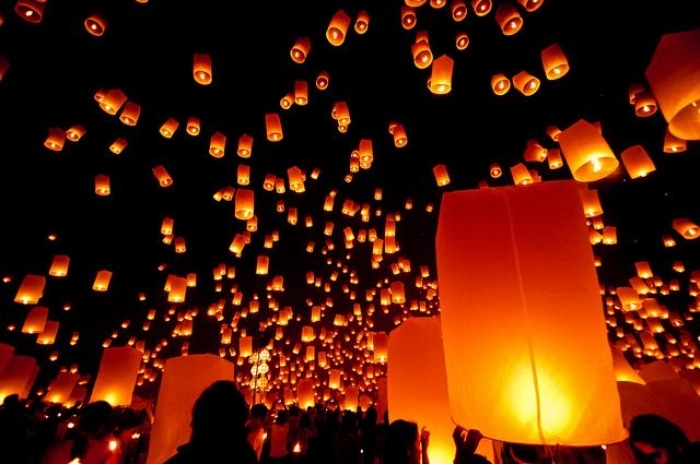 The lakes will be filled with candle lit “Krathong” while the sky will be littered with hundreds of floating lanterns. 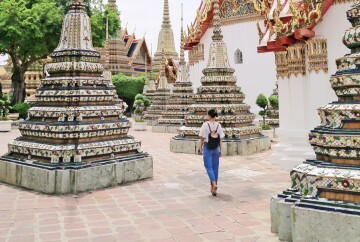 For your time in this city, here is a Chiang Mai itinerary that has already been excellently laid out for you by one of our writers. Be sure to check it out!